What Makes the Porsche Macan So Appealing? What’s the bestselling model out of every Porsche that’s out there? You might be surprised. It’s the new Porsche Macan crossover. The compact SUV that drives like a sports car accounted for 39 percent of Porsche’s total sales in the U.S. in 2017. Why Is the New Porsche Macan So Beloved? Each model increasingly delivers additional advantages such as suspension and handling packages. The new Porsche Macan’s crossover status is well hidden. Only the proportions give it away. If you were to glance at it, you’d immediately recognize it as a Porsche. Its design evokes the heart and soul of Porsche driving – the 911. Is It Functional as well as Powerful? Absolutely! 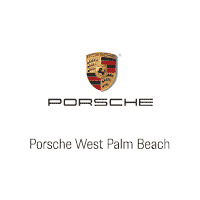 Porsche Communication Management, or PCM, is designed for practical driving. Porsche could make it more complex, but then it would be distracting. Instead, they funnel the most useful tools to you through touchscreen. The new Porsche Macan is no different. You can dive deeper if you want, but the streamlined touchscreen presentation allows you access to the controls you’ll need most often without the headaches. PCM also integrates with other systems, such as Apple CarPlay. The mistake many crossovers make is cutting away too much headroom in the back seats. They do this to maintain a sweeping line that suggests a low-seated performance car. Yet it’s just lazy design. The new Porsche Macan manages to maintain ample headroom while still looking sleek in side profile. Perhaps this is a main reason it sells so well. While other crossovers are forcing back seat passengers to hunch over, the new Porsche Macan allows them to stretch out. The cargo capacity is good as well – 17.7 cubic feet, ramping up to 53 cubic feet if you fold the rear seats down. 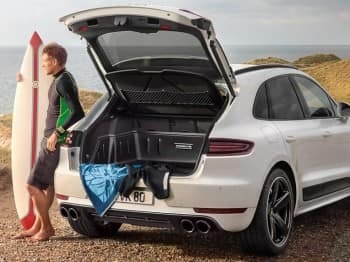 It’s a good choice when you look for a Porsche SUV for sale, perfect for getting around in style locally, or for packing some camping gear and getting away from it all for a weekend. 0 comment(s) so far on What Makes the Porsche Macan So Appealing?